Everyone was on the creative team as they worked on our ITC Learning Treat. Our ITC Learning Treat – which will be revealed in full to parents on Friday 12th February as part of Safer Internet Week – started to come to life. It starts with art… then what? 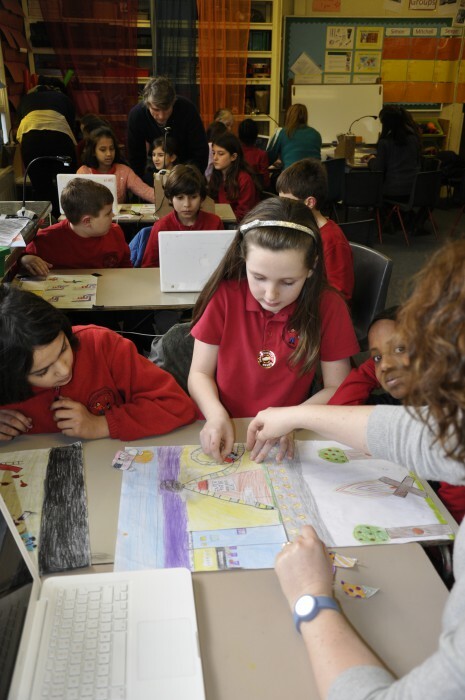 All week, the children in Juniors (years 3-6) had worked in teams, developing stories and ways of animating them. So by this morning, they had all created backgrounds, characters and thought of a tale to tell. 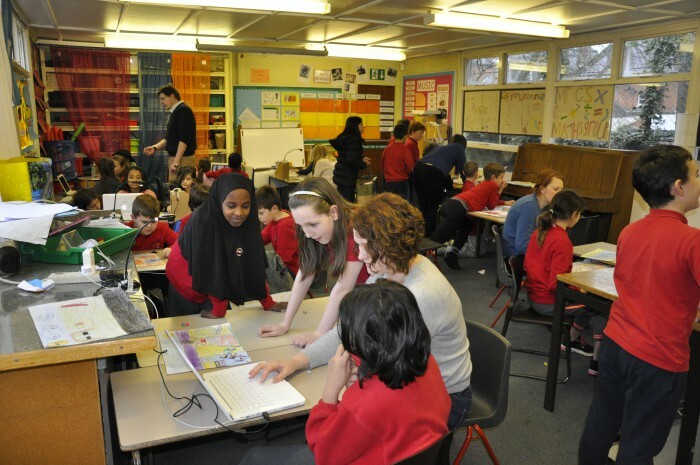 Using a programme called iStopMotion, a camera was rigged to the computer and the kids took a series of pictures (hundreds per film created) to make films of between 30 seconds and a minute in length. They would move the characters a very short distance, take a picture, then move them a short distance further. Put it all together and you have a cartoon. There was great creative thinking going on as kids came up with stories and artwork. Within teams, they bounced ideas off each other, figuring out how to turn a plan into a movie – which, when they got into the process of shooting pictures, often meant adapting what they had thought up earlier. Our parent volunteers worked just as hard! They were essential to the filming process and more are still needed for FRIDAY 15TH JANUARY and to help years 1 and 2 on Thursday 28th January. Don’t hold back: contact us. Who can sit still at a table with all this going on? All that effort! Come and see the result on the last day of this half term. ← How cool is school?